I NEED to provide information on the state of the project. I can perform different types of testing. 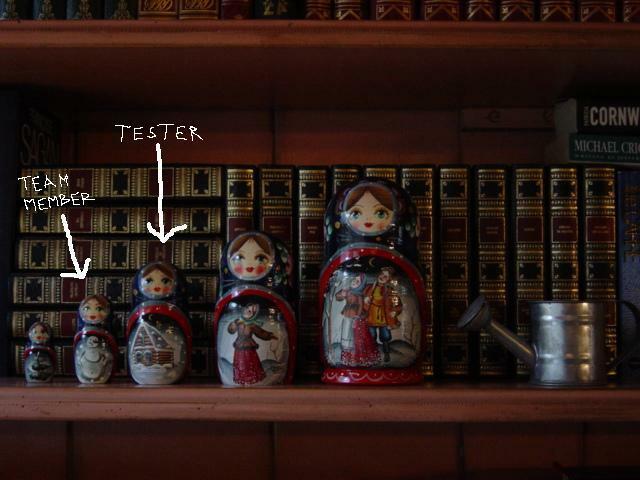 I capture and keep acceptance tests up-to-date. I provide estimates to the required level of accuracy for user stories and tasks. I help the Agile Customer prioritise issues and defects. The entry 'The Role of an Agile Tester' was posted on April 24th, 2009 at 12:00 pm	and last modified on April 25th, 2009 at 7:08 pm, and is filed under Coach's Log, Team. You can follow any responses to this entry through the RSS 2.0 feed. You can leave a response, or trackback from your own site.